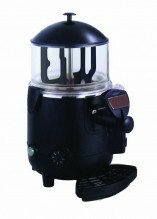 5QT and 10QT hot chocolate dispensers available for your café, cafeteria, grocery store, or restaurant! These dispensers are perfect to place alongside coffee percolators! No food establishment is complete without hot beverage dispensers, to be as easily accessible as pop machines!